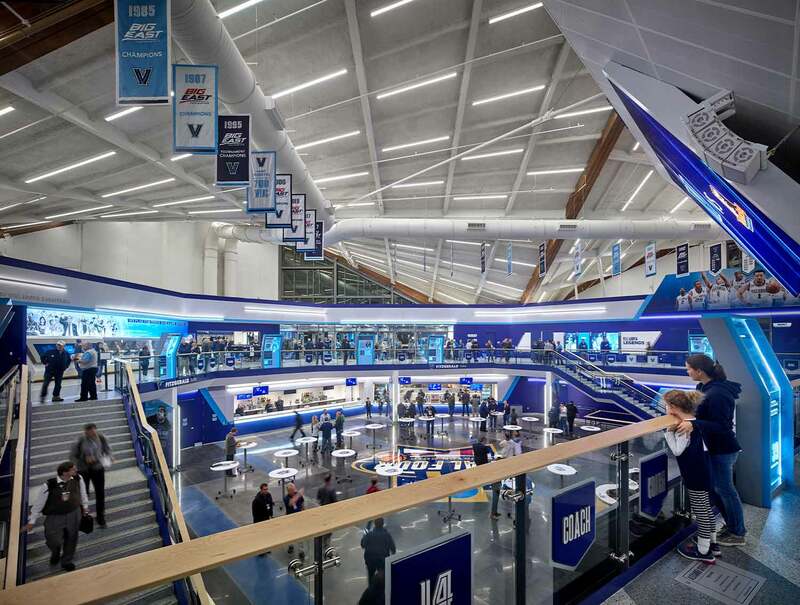 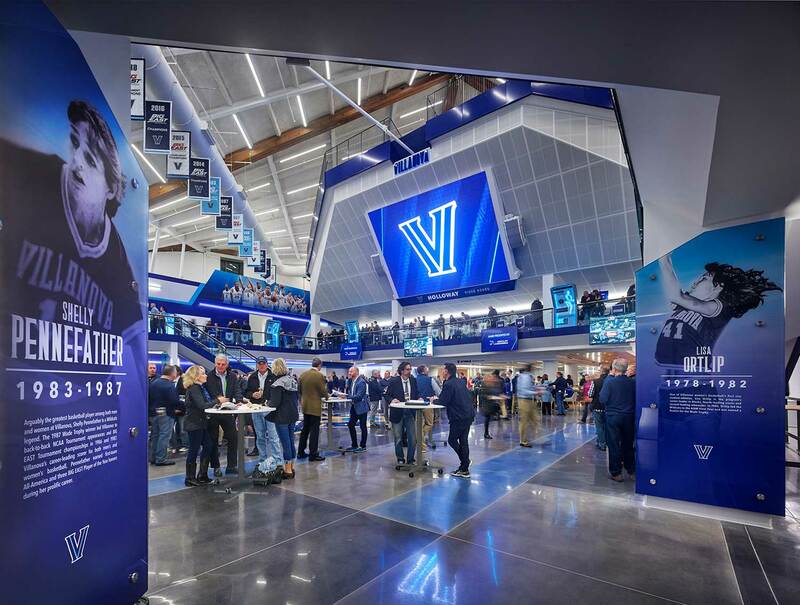 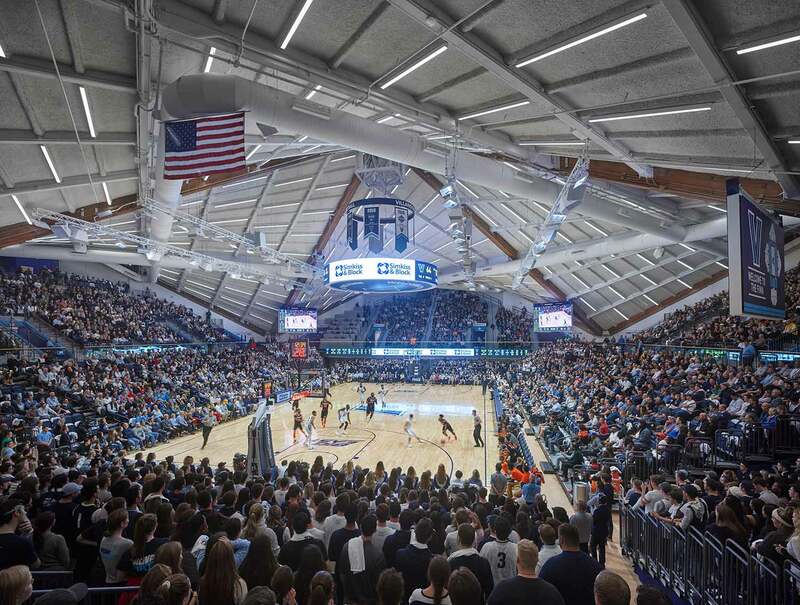 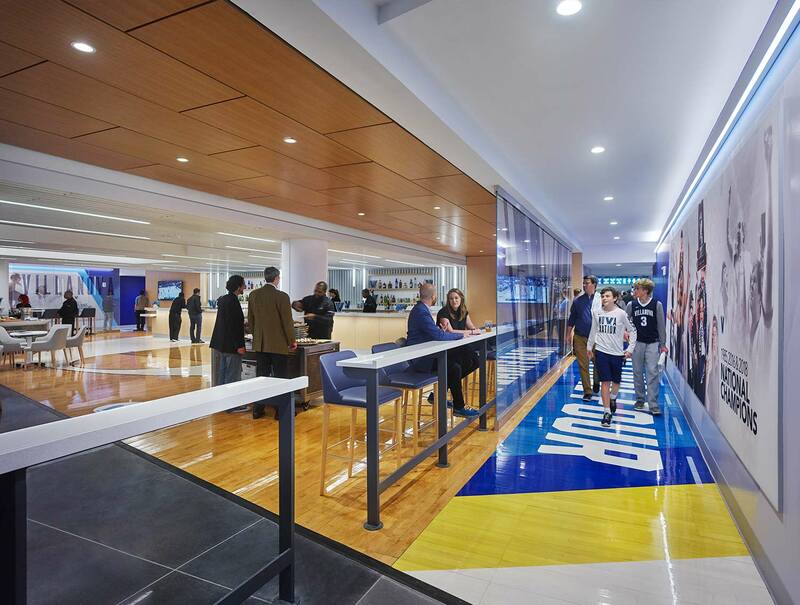 After 31 years, Villanova University decided the time had come to renovate the Pavilion and create a high-quality, game-day experience for Villanova students, faculty, staff, alumni, and fans. 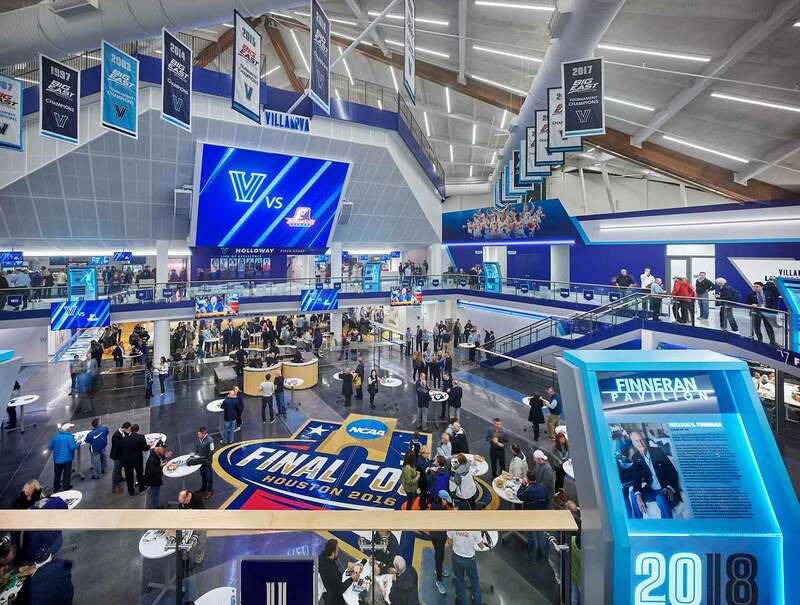 The renovated arena provides an atmosphere befitting their elite Men’s and Women’s Basketball programs and honors the storied history of Villanova Basketball. 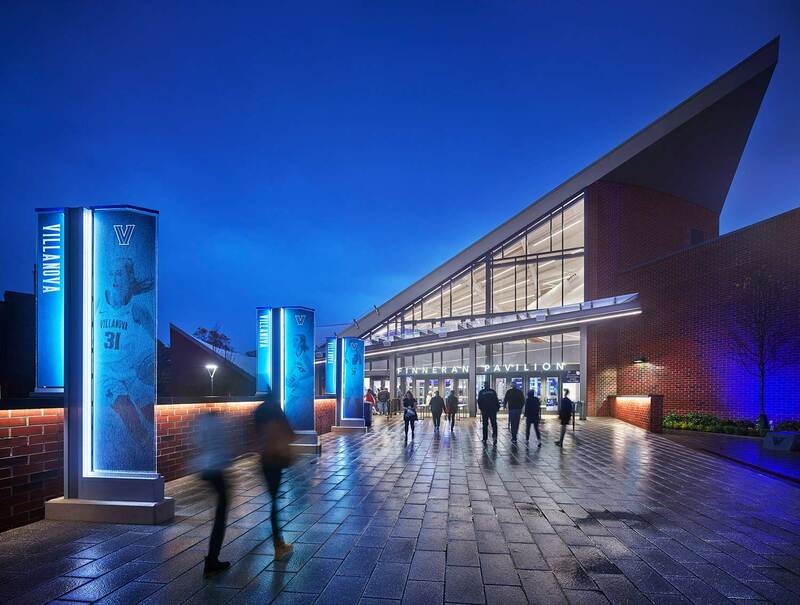 Upgrades to the two-story, 6,500-seat structure include a relocated main entrance, a completed concourse, and increased quality of premium offerings, seating, and amenities. 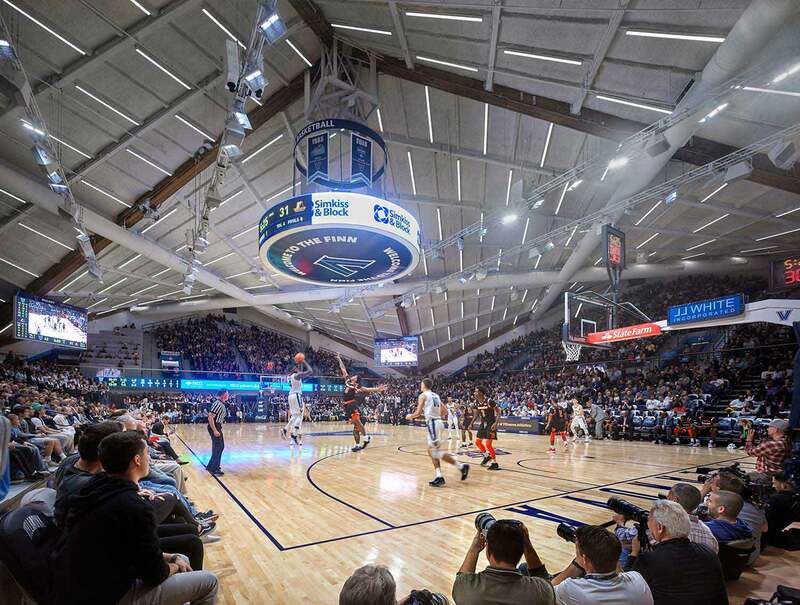 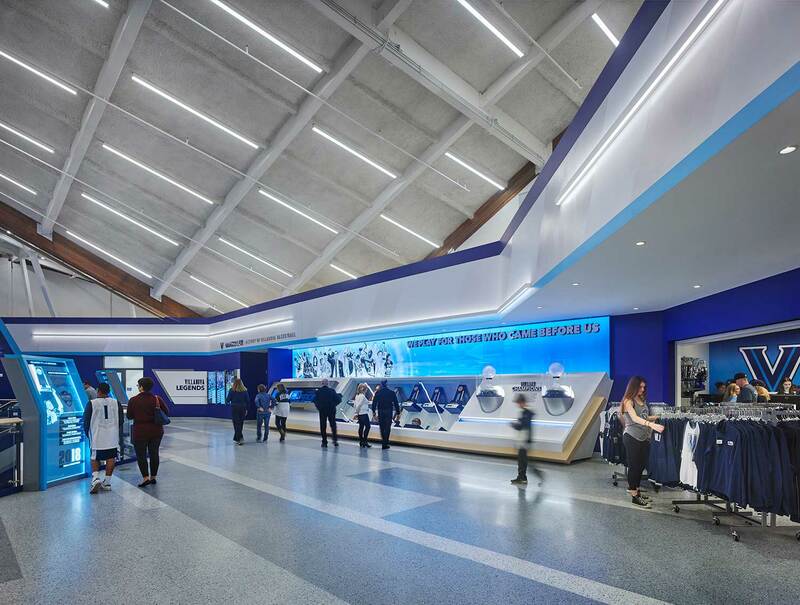 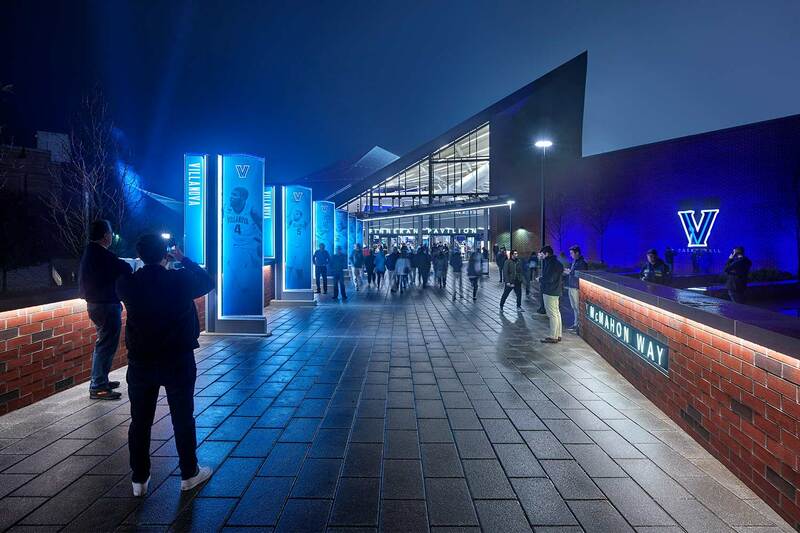 Ultimately the goal was to significantly enhance fan experience, player and performer experience, and operational efficiency within the Pavilion.